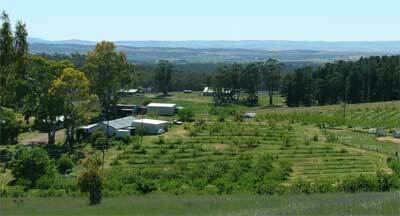 We are a biodynamic stone fruit orchard, situated in the Wirrabara Forest, Southern Flinders Ranges, certified “Demeter” by the Biodynamic Research Institute since 2001. 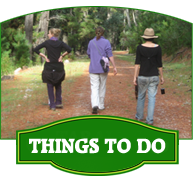 We also have a sizeable vegetable garden, free range poultry, bees, and a small beef cattle herd. We have been growing our fruit using biodynamic practices since purchasing the 115 acre property in early 1998, and have developed the property along ‘permaculture’ principles. For over 100 years stonefruit has been grown in the area. 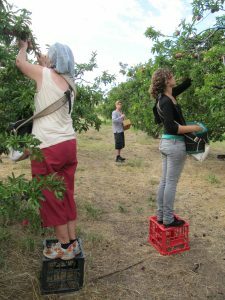 Cold winters, moderate summers, a 26″ or 650mm annual rainfall, free-draining loamy soils and good quality underground water suit stone fruit production. The majority of our orchard receives minimal irrigation, using microjet sprinklers, although the apricots and most plums are dry grown. Our harvest period is from December to April. 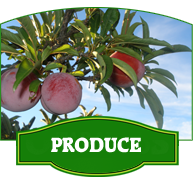 We grow a number of varieties of peach, plum, apricot and peacharine as well as nectarine, quince, apples and persimmons. Our value added products include dried fruit which is hand cut, most of which is lightly sulphured, and sundried. We have recently purchased at Solar dryer, and so now have a range of sulphur free dried fruits as well. Our fruit leathers are either sundried or dried in a dehydrator and contain no preservatives. 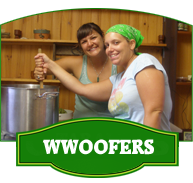 The jams, chutneys and sauces are all cooked on a wood-fired stove, and are made entirely from our biodynamically grown fruit. We are committed to producing good quality, healthy and tasty fruit and fruit products, which we trust you will enjoy. Farm Gate sales of our fresh fruit from December to April. Dried fruits, honey, jams available year round. We attend local Markets, where our produce is available from our stall. A local Producers Market is held in Wirrabara on the third Sunday of every month.